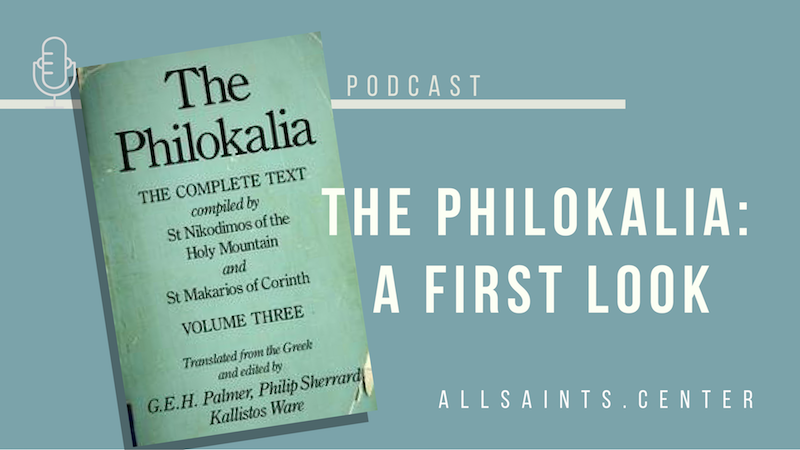 “The Philoka …what?” That’s what many people might say when they hear the word philokalia. It’s a Greek word that means “love of the beautiful or good." The Philokalia is a collection of writings from within the Orthodox tradition written from the 4th to the 15th centuries by 35 different monastic authors. You could call these their “best of” spiritual classics. They instruct people on prayer and the life of Jesus — and are surprisingly applicable to our modern world. In this podcast, Scott Duncan joins Brock Bingaman and Connie Willems to talk about these four books that have impacted his life and his relationship with God. The Philokalia's writings are also especially meaningful to Brock — you can see his own book about them linked for you below. 37. Our intellect, because created in God's image, possesses likewise the image of this sublime Eros or intense longing — an image expressed in the love experienced by the intellect for the spiritual knowledge that originates from it and continually abides in it. 129. Entrust to God the needs of your body, and it will be clear that you entrust to Him the needs of your spirit also. 131. Do not shun poverty and affliction, the fuel that gives wings to prayer. 98. Whenever we are filled with evil thoughts, we should throw the invocation of our Lord Jesus Christ into their midst. Then, as experience has taught us, we shall see them instantly dispersed like smoke in the air. Once the intellect is left to itself again, we can renew our constant attentiveness and our invocation. The Philokalia: A Classic Text on Spirituality edited by Brock Bingaman and Bradley Nassif (Oxford University Press, 2012). This collection of essays is a helpful guide into The Philokalia, and lays out some starting points for accessing it. The Philokalia: The Complete Text. Volumes 1-4. (New York: Farrar, Straus, and Giroux). Search independently for the different volumes, as you will find them at varying prices from different sources.